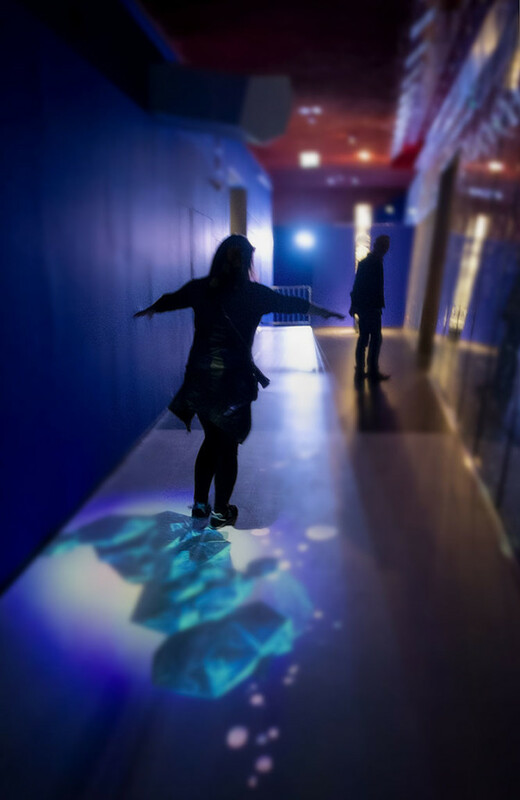 In the Swarovski Crystal World you have those paths between the exhibition rooms, with dim blue light and projections of diamonds on the floor. This contributes to this exhibition which is a synthesis of arts made from glass, light and multi media. The new extension of the Swarovski Crystal World brings an exciting park area outside. A labyrinth formed like a hand, alpine brook, modern buildings and a forest made from steel and glass. 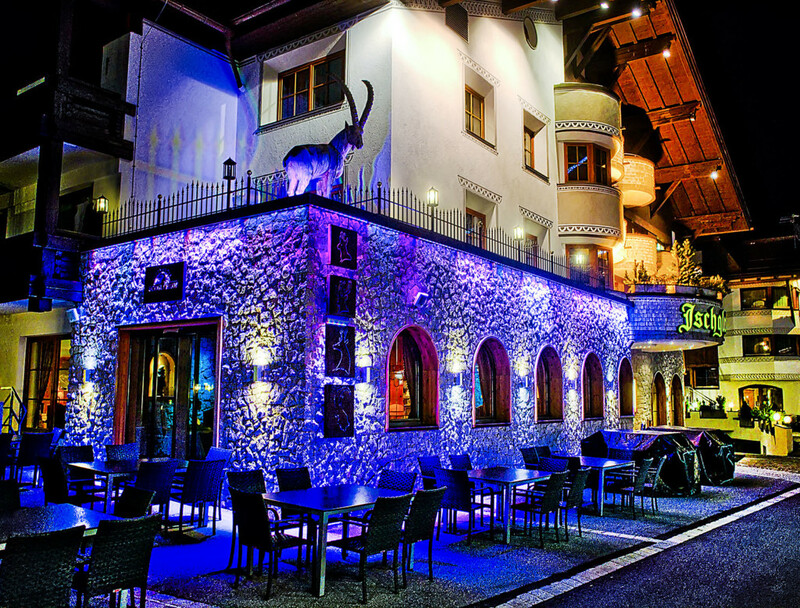 Kitzbühel during summer is more silent than the busy winter months, but even during that time worth a visit. You can concentrate more on taking photos and relax. 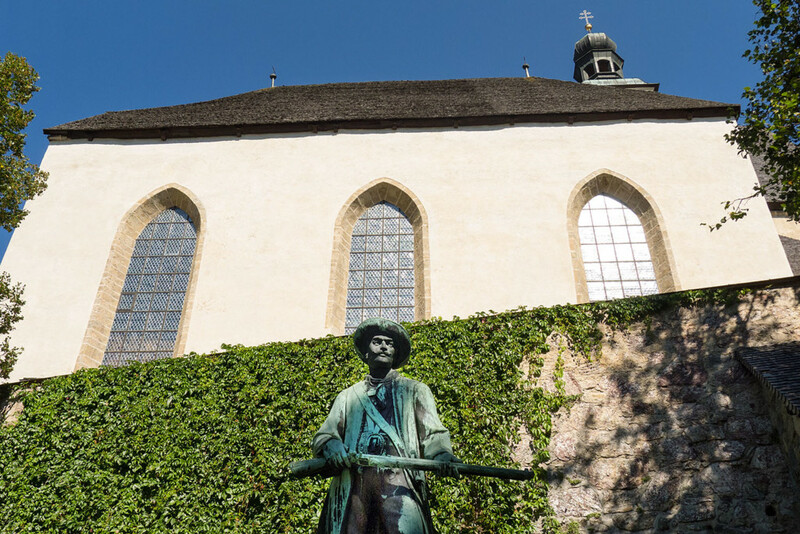 Here is the famous freedom fighter from Tyrol, named Andreas Hofer. 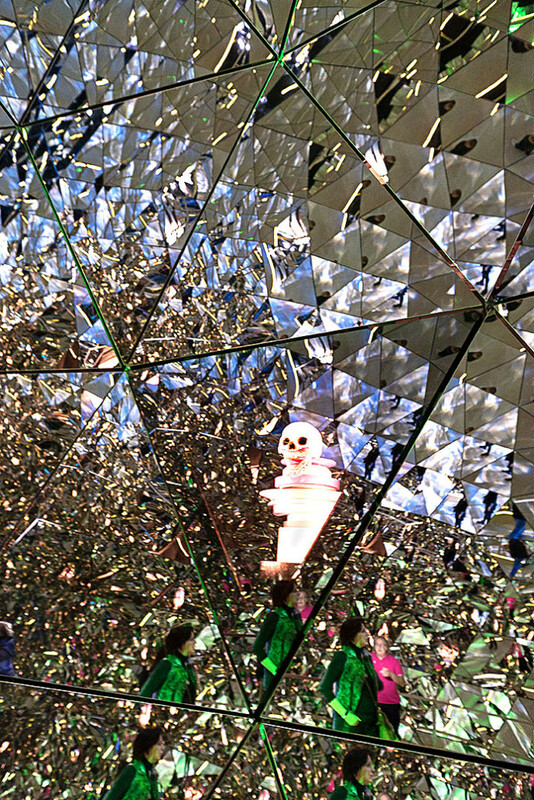 At Swarovski’s Crystal World you can enter a crystal room which is completely built from glass. It’s formed as a dome with thousands of glass elements in different sizes and dimensions which mirrors visitors on hundreds of glass pieces throughout this room. This is really cool, eh? 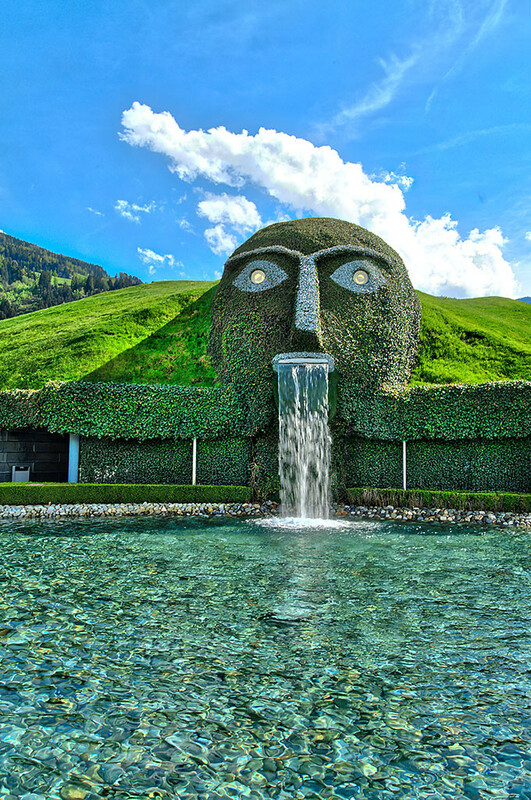 You can see this grassy head at the entry of the Crystal Worlds of Swarovski. It’s an artwork of Andre Heller. In the whole outside area there are artistic buildings, gardens and waterfalls. 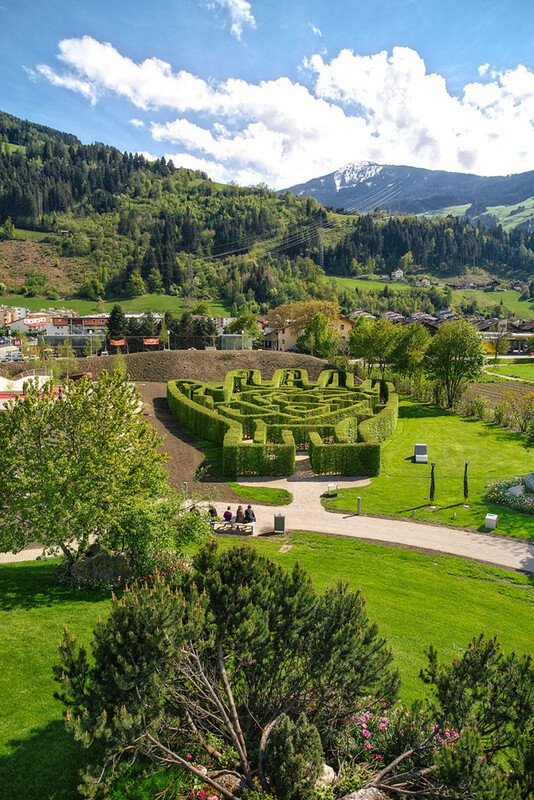 I think it’s unique in the world and a must see in the town of Wattens in Tyrol, Austria. 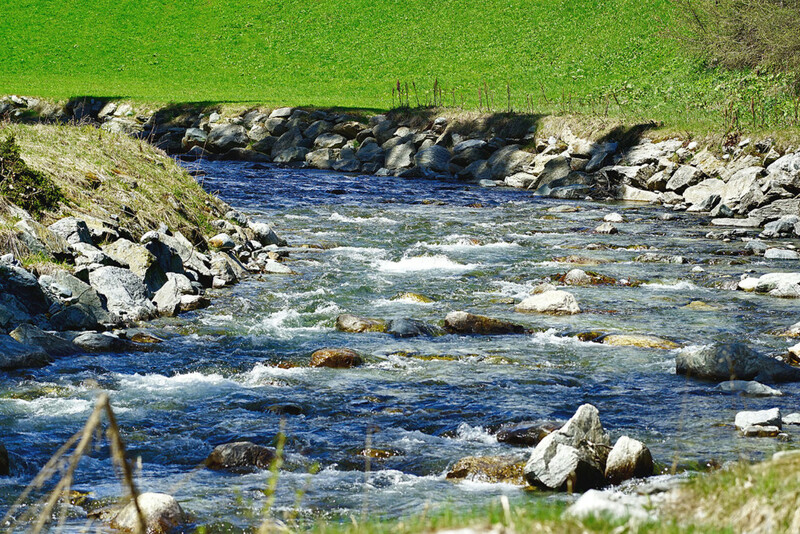 I didn’t know anything about Ernest Hemingway’s visit to Galtür in the Paznauntal, Tyrol. As I was waiting for a bus near the tourist information on a sign I saw the quotation “Wonderful country. 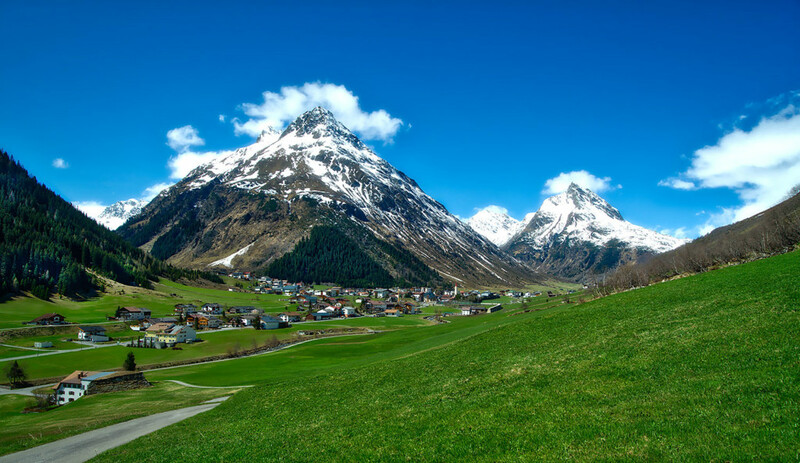 The Silvretta.” (Ernest Hemingway, 1925), there was also a short story about his visit with some poetic rhymes. Then I did some Google research and found that he has written his novel “An Alpine Idyll” in Galtür. Very interesting… then I immediately took a short drive outside and took some photos of Galtür. Only an alpine brook can give you this kind of fresh water. It is always very cool, even in the hottest summer and so clear, that you can see every stone on the ground. If you can walk down and holding your feet into this water is a very refreshing experience, you will feel very good after this “bath”. 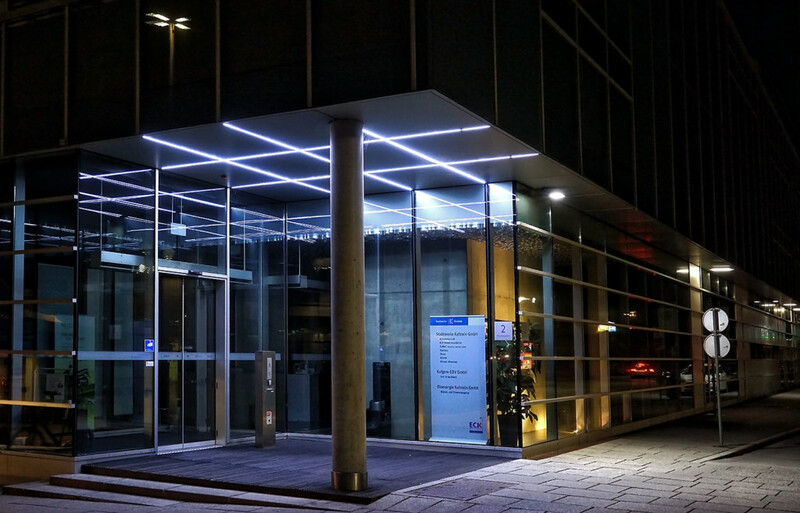 I like modern portals and entrances of buildings which are illuminated by geometrical light sources. Mostly those buildings are from banks, insurance companies or federal institutions. It looks so cool when passing by and you are walking down nightly streets. 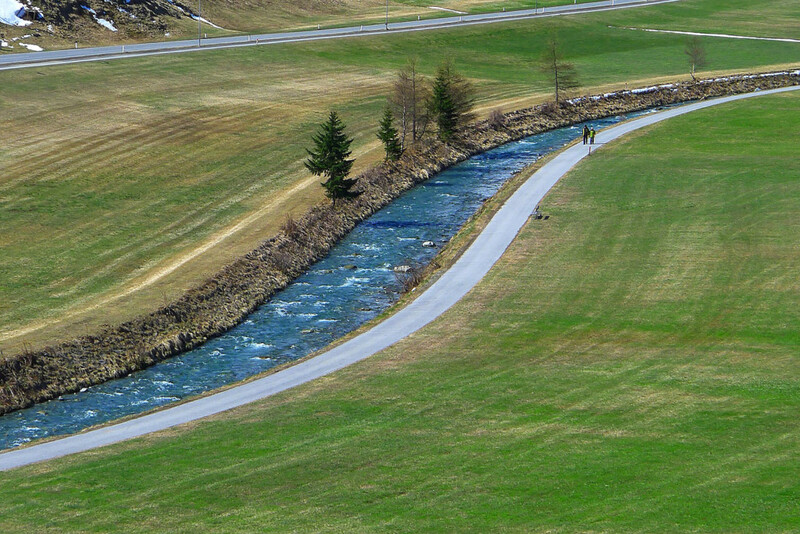 This photo was taken in Kufstein, Tyrol.